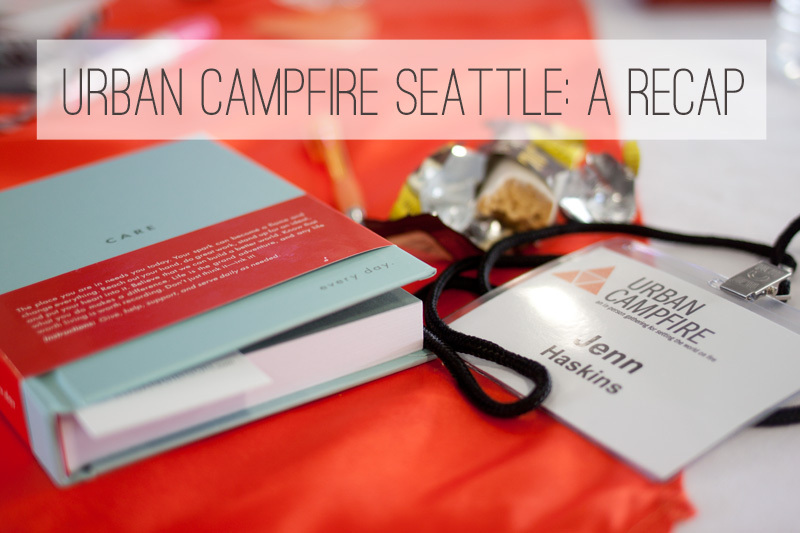 Last week, I had the privilege of being sent to Urban Campfire in Seattle by Luna with my friend Sarah. I hadn’t heard of Urban Campfire before, but after reading a bit about it, it sounded right up my alley. Inspiring women, check. S’mores, check. Held in an airplane hangar, check. Sounded pretty sweet to me. This year’s theme was “Own Your Style.” I can get down with that, I mean, I’m pretty sure that mantra is exactly what this blog is about. I enjoy owning my weird interests and quirks and oversharing them with you. 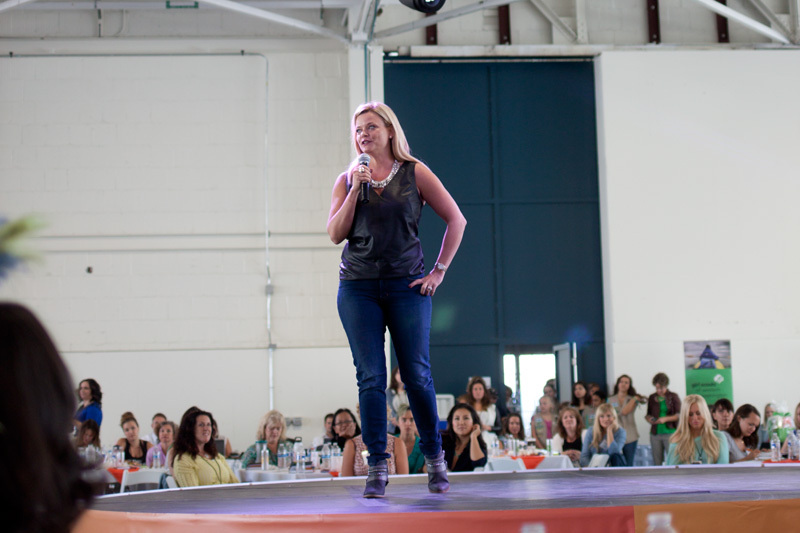 At the beginning of the day, women took to the stage to share how they owned their style. 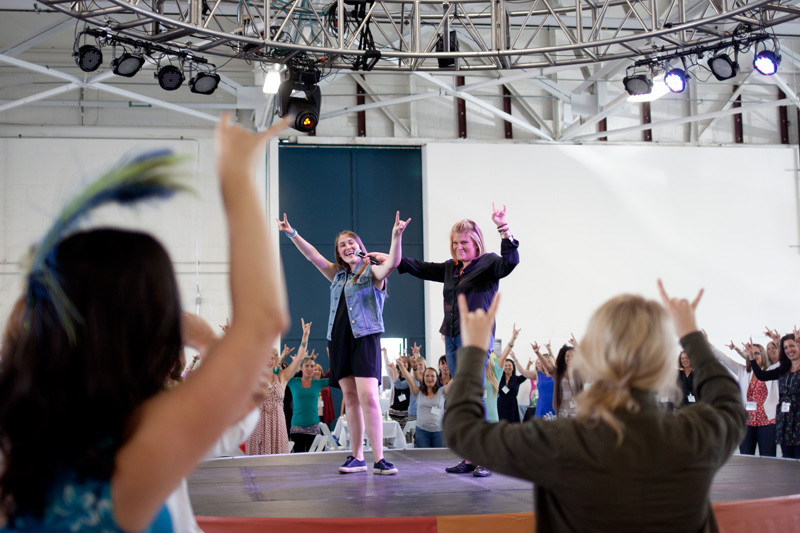 One of the first women to speak shared about being bullied, and owning her style regardless of the naysayers. It really brought me back to my middle school days, and memories of my own that I really had buried. There was this awful group of girls that I really wanted to be friends with. I mean, I was 11, but why I wasted my breath on them is still beyond me. What I wish I had known then was that I was strong and I didn’t need them to validate me with their friendship. Another point that really resonated with me was to stop focusing on all of the negatives. Christina Rasmussen lost her husband to cancer, and she shares her inspiring story on her blog of moving on and finding her happy ending. What she said that I really liked was that there are thousands of people who are going to die today, and there’s nothing we can do to stop it. But what we can control is living each day like there is no tomorrow. The most dangerous thing is a woman who owns her style. [We] overestimate what we can do in a short amount of time, and [we] underestimate what we can do over a long period of time. Women cannot be likeable and powerful, yet we like men who are likeable and powerful. Don’t fill the table with women because you’re trying to fill a quota. Fill a table with women because we make it better. A woman who wants to be a man is a waste of a woman. Do any of these words resonate with you? How do you define your style? WOW! Jenn – this looks like an amazing experience! 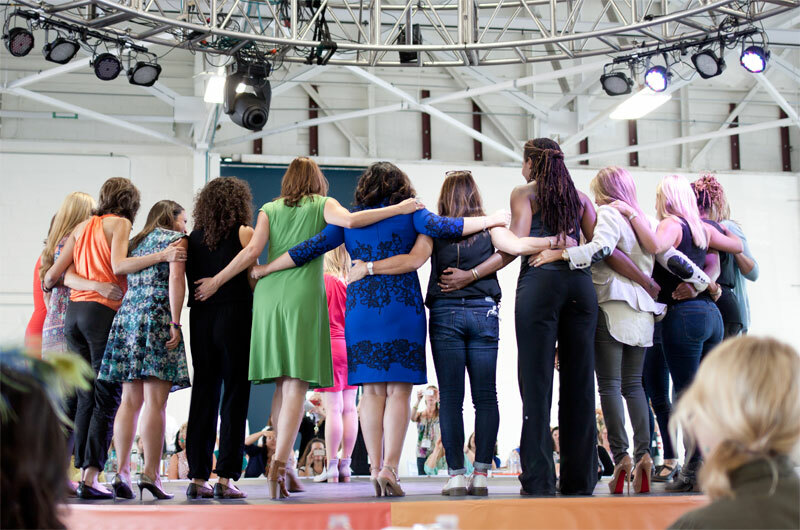 I love it when women support other women instead of tearing them down – which sadly seems to be the norm these days. What she said that I really liked was that there are thousands of people who are going to die today, and there’s nothing we can do to stop it. But what we can control is living each day like there is no tomorrow. I am always terrified that something will happen to my sister, husband, etc. but that line is so so so true – I can’t control what will happen, but I can live in the now. I know, right? That’s why this event seemed like such an amazing opportunity to attend. Like you said it’s usually women belittling other women, this was exactly the opposite! Yes – Christina’s words were really powerful. Especially for me because I battle anxiety, and one of my fears is death so I really connected with her message. Living in the now is so important! oh wow. too early to make me cry girly. That is amazing that Christina is so positive and I love her quote about people dying. I really struggle with death and the idea of it, so this really resonated with me. I love every other quote as well. thank you so much for sharing, what an amazing event! Aw, sorry! Didn’t mean to illicit any tears! Totally agree with you on the bullying thing. I wish I hadn’t cared so much that year, but I did. Now it makes me stronger and has taught me that there are good people (and bad people like the bullies) out there and you just have to surround yourself with the good ones. Christina really is amazing, and her words are really powerful. Loved that quote, and trying to make it my mantra. It definitely does! Such a great event to be able to attend and be inspired from! Love this so much! 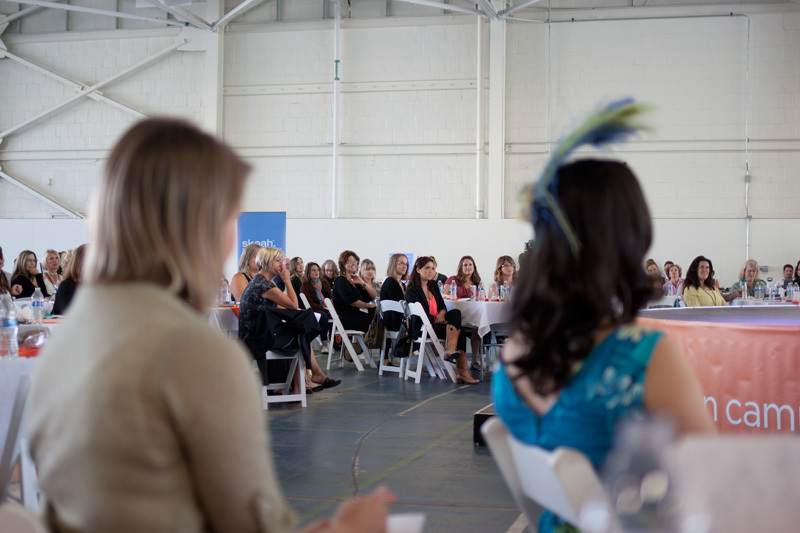 I love the concept that women should be represented as contributors, not to fill seats. Powerful stuff, thanks for sharing some quality content.